The R4 is a modified version of the valued GR16 replica. 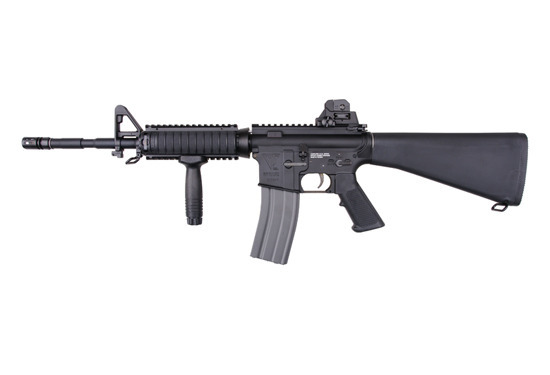 In comparison to its predecessor the manufacturer added a front RIS grip, a detachable iron sight, a tactical vertical grip and RIS rail cover panels. 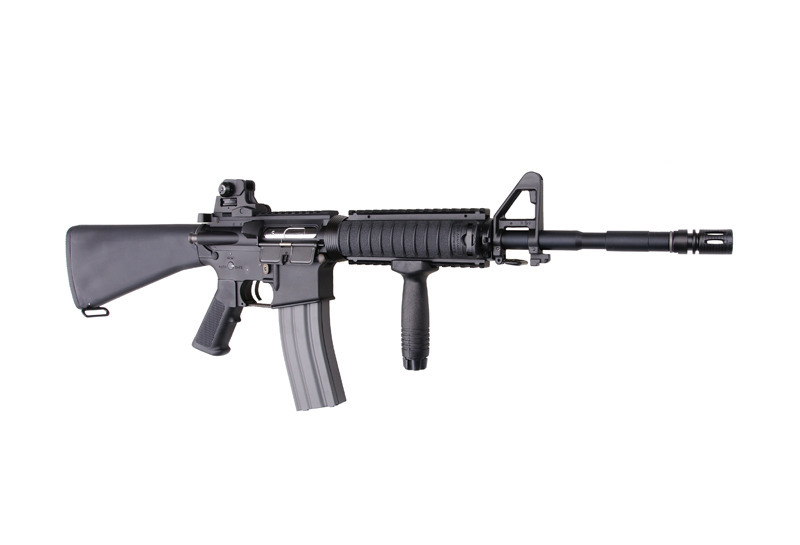 This model is also equipped with a fixed capacious stock. The transport of the battery will no longer stand a problem. 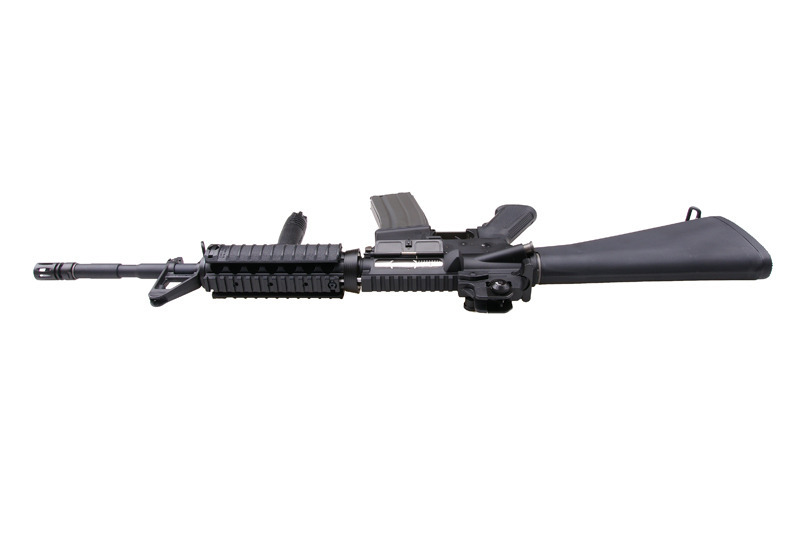 The properly working PBB system imitates the movement of the bolt carrier just like it takes place in the real firearm. The Pneumatic Blow-Back system operates on the basis of venting some of the compressed air from the gearbox to a special cylinder that is located above its grams. 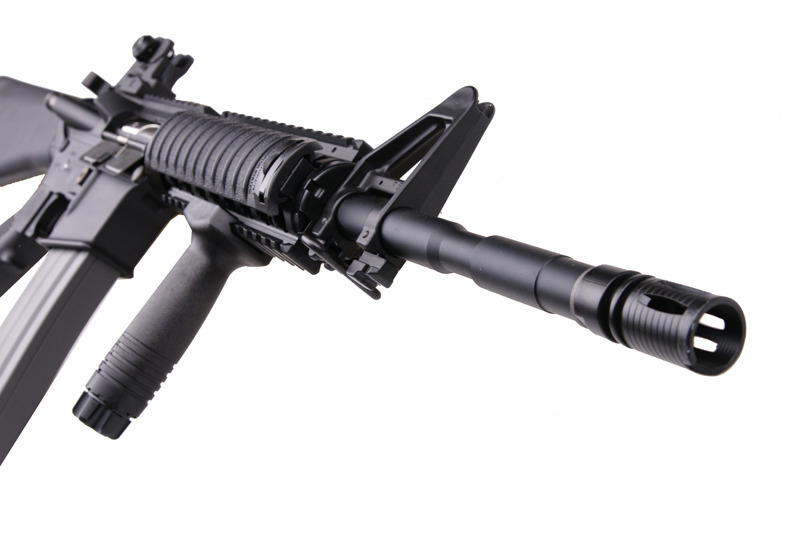 The piston that is located in the PBB cylinder moves the thick plate that is attached to it and that imitated the bolt carrier. ATTENTION: the manufacturer does not recommend the use of batteries stronger than 8,4V due to the fact of the possible damage to the aforementioned plate. 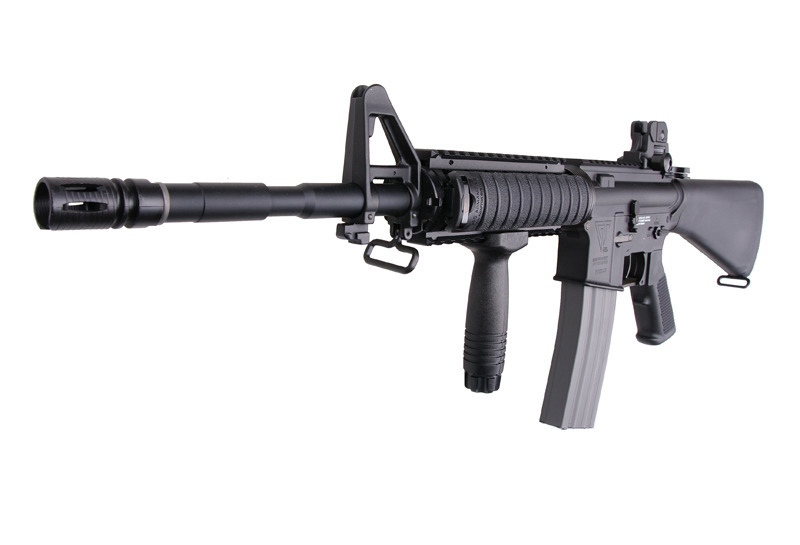 The G&G GR16 R4 replica was made within the full metal standard. 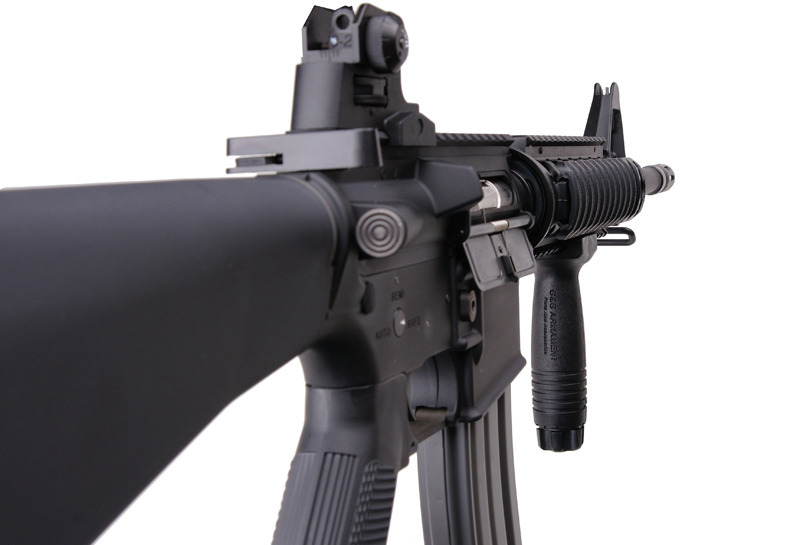 Just like in the real firearm, the body, the fore-grip, the front RIS grip, the iron aiming sights, the barrel and the flash-hider were made of metal. 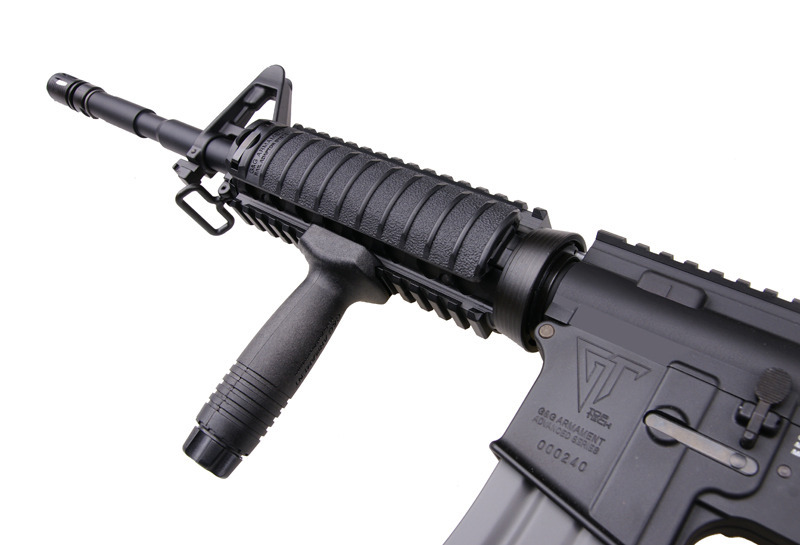 The manufacturer has also added a few steel elements which may be endangered by damage or a shorter lifespan: the trigger, the trigger guard, the magazine release button, the bolt catch lever, the actuator and the dust cover. 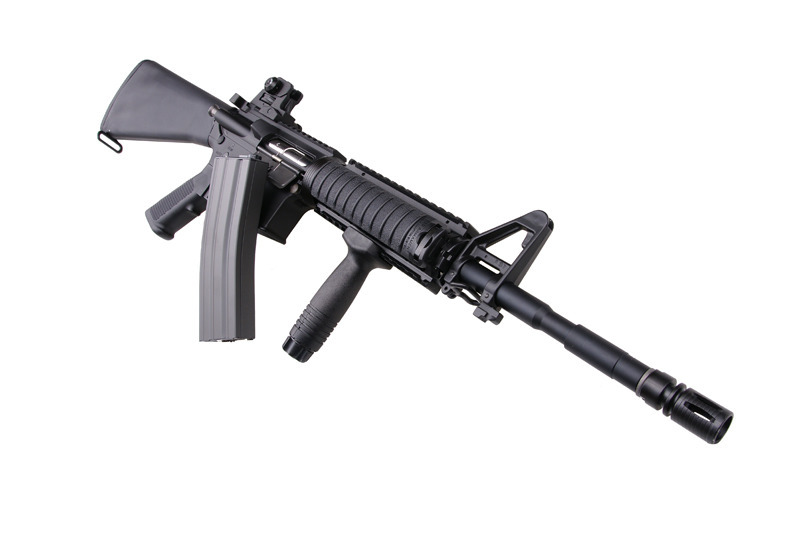 The fixed stock, the pistol grip and the cover panels are made of durable plastic. 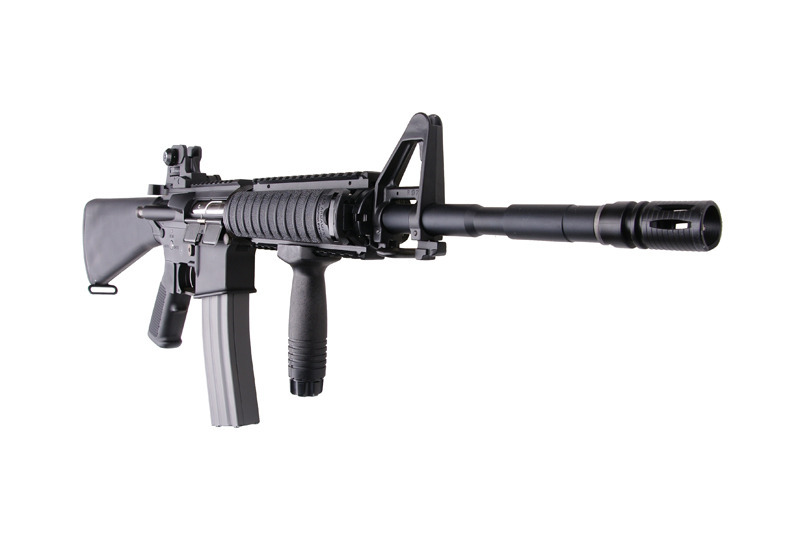 As it befits the G&G company all of the details are perfectly replicated. The body bears the markings and each model has its own unique serial number. 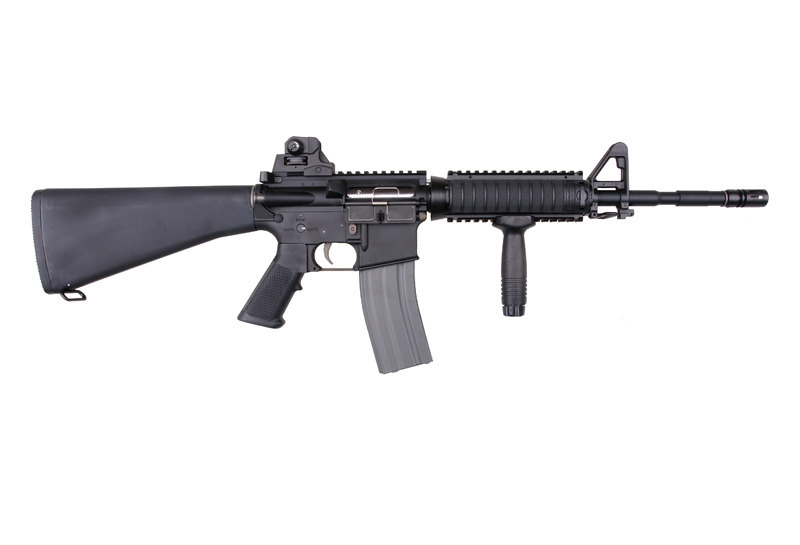 The manufacturer’s markings are also engraved on the replica and the magazine is decorated with a 5.56mm x 45 sign. The plastic made elements have got a facture that is nice in touch and a nice color. The replica is equipped with a functioning bolt catch lever. 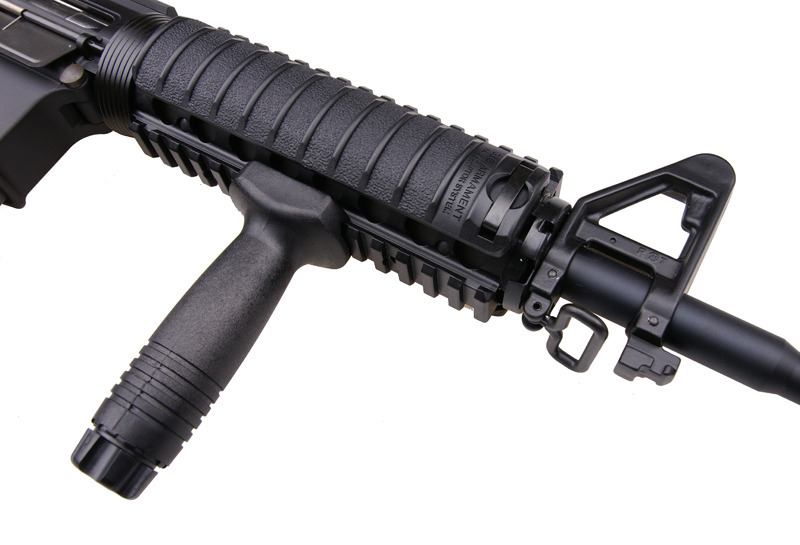 After we push the bolt catch and pull the bolt carrier replica is the backwards position we gain access to the Hop-Up system. After pressing the bolt catch button one more time the bolt carrier replica goes back to its place just like in the real firearm. 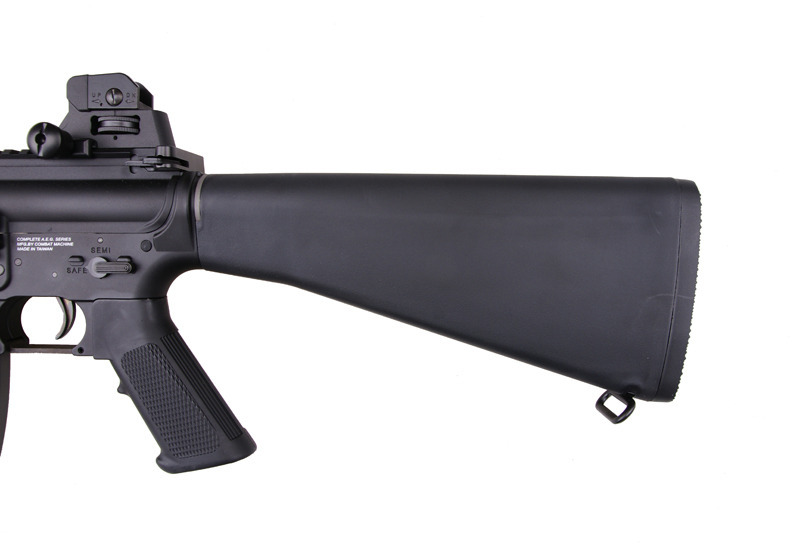 The G&G replicas equipped with the PBB system have got a reinforced modified V3 gearbox. The modifications are: the adaptation of the gearbox to the PBB system and adding the “active spring release” in the form of the actuator. It is not possible to use any other gearbox frame that operates with the PBB system and the active spring release system at the same time.